If for any reason your Cuisinart product is not functioning properly, please do not return the appliance to the store, please return directly to us for repair and / or replacement or contact us directly and we will be more than happy to remedy your questions. 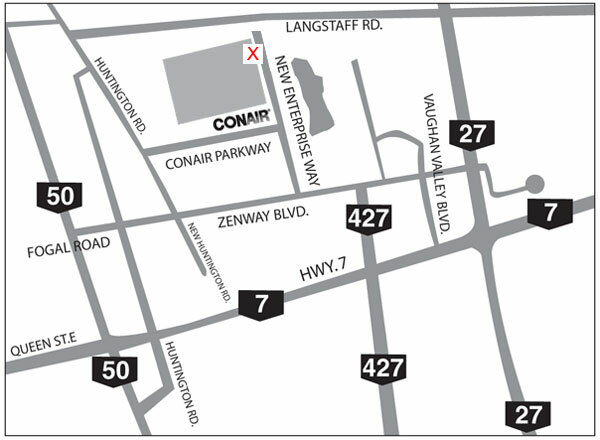 Walk-In: You may also visit our walk-in service centre located in Woodbridge, Ontario. To facilitate the speed and accuracy of your return, please also enclose a cheque or money order for the shipping and handling as stated in the Instruction Booklet that accompanied your product. In the event that you do not have the proof of purchase date, for the purpose of this warranty please use the date of manufacture. Also be sure to include a return address, contact phone number, description of the product defect, proof of purchase, and any other information pertinent to the product’s return. Please note these warranties expressly exclude any defects other than manufacturer defects.